Firefighters across the Snowy Monaro are responding to a number of lightning strikes that have sparked more than 20 bushfires in the last 24 hours. 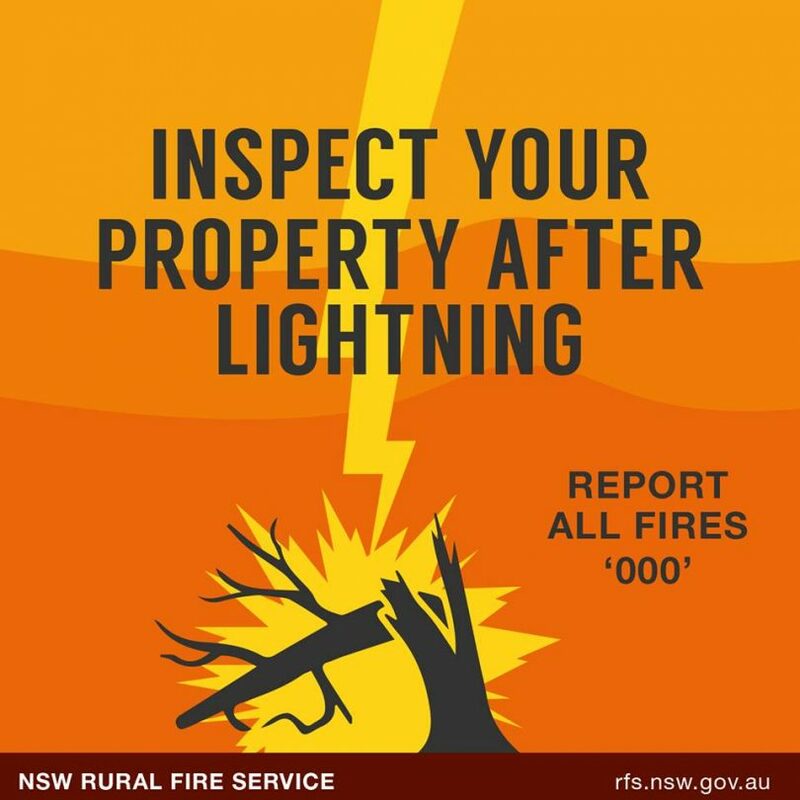 Crews from the National Parks and Wildlife Service along with the Rural Fire Service and private landholders are actively working in a number of locations ahead of more forecast thunderstorms. Fred Nichols from Monaro Rural Fire Service says the focus today is in the border country south-west of Delegate. “That country has been hit hard with more than 12 fires started in the Tingaringy area, one at Spring Flat at the edge of the pine plantation and two out in the Corrowong Rd area,” he says. Other fires have been ignited by lightning at Burra Rd Michelago, Newline Rd at Holts Flat and Peakview Rd at Jerangle. All but the fires in the Tingaringy area are listed as contained. “It’s pretty isolated country there, National Parks will have five aircraft working there today,” Mr Nichols says. “They’ll be bucketing water into ground crews and tie those fires up. They are still listed at uncontained mainly because its inaccessible country. 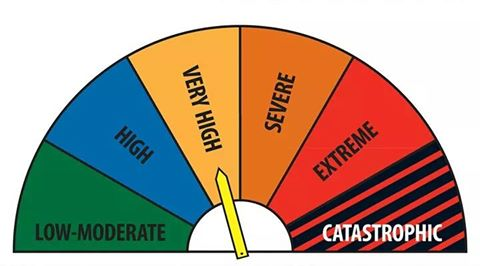 The fire danger rating across the Snowy Monaro at the moment is Very High. Photo: Monaro RFS Facebook. While the days have been hot and dry, Mr Nichols says the absence of wind has been key in being able to get on top of each outbreak. “Without the wind, we can get a crew in there and contain it, if we had wind we would be in all sorts of trouble,” he says. Fire conditions across the Snowy Monaro are mixed headed into the final third of summer. “Areas around Cooma and north of Cooma in the grasslands are extremely dry,” Mr Nichols says. “The bush country is starting to dry out but we have been pretty lucky down around the Bombala – Delegate area where there was pretty good rain earlier, it’s holding its own. “Elevations up above 1200 – 1300 metres have been getting rain. Mr Nichols is grateful for the public reporting lightening strikes buts asks people to confirm the presence of smoke or fire before calling Triple O (000). “It takes up a lot of resources to go out and check each report, and not all lightning strikes start a fire,” he says. For further information and updates, check the Monaro Team Rural Fire Service Facebook page and Fires Near Me via the RFS NSW website.